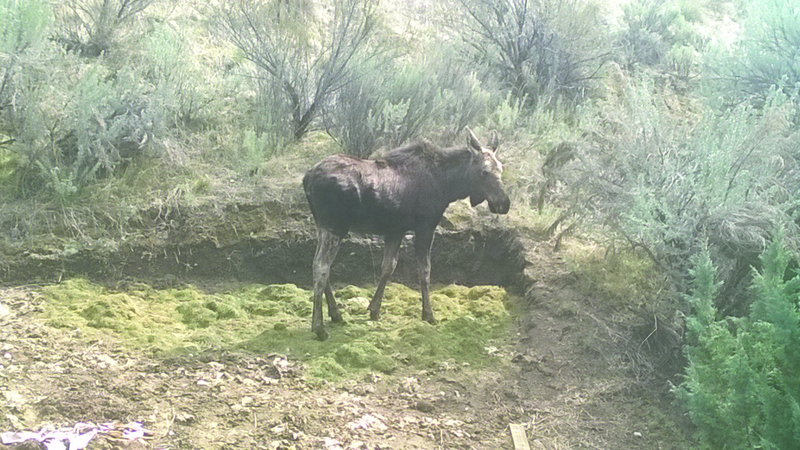 Residents in the Eldorado Way neighborhood of Chelan Hills had an unexpected visitor on Saturday morning, March 31 around 9 a.m. This young moose, according to Paul Rogers, spent a couple of hours checking out the neighborhood and the neighbors porch, before finding the grass clippings from Rogers freshly mown lawn. Rogers figures the moose weighed 200-300 pounds and came down the draw in that area and when done checking things out, left the the same way.